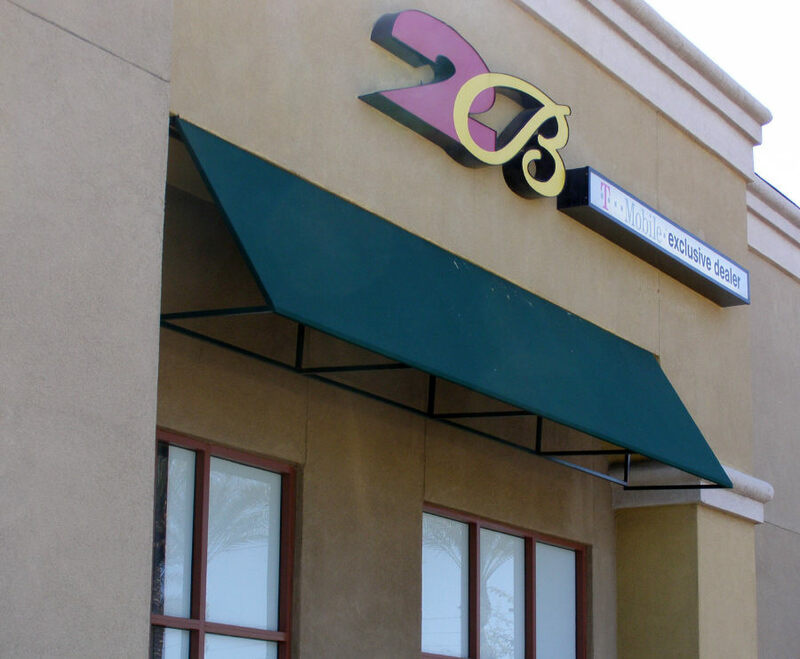 Commercial window awnings are commonly used on store fronts and business establishments as a way to shade the windows from the sun. Window awnings can also add style and elegance to any building. The most popular choices of window awnings seem to be steel awnings or steel framed awnings with a canvas, or fabric, cover. Either way, design and color are used to enhance the overall design of the building. These photos can be enlarged by clicking on them. 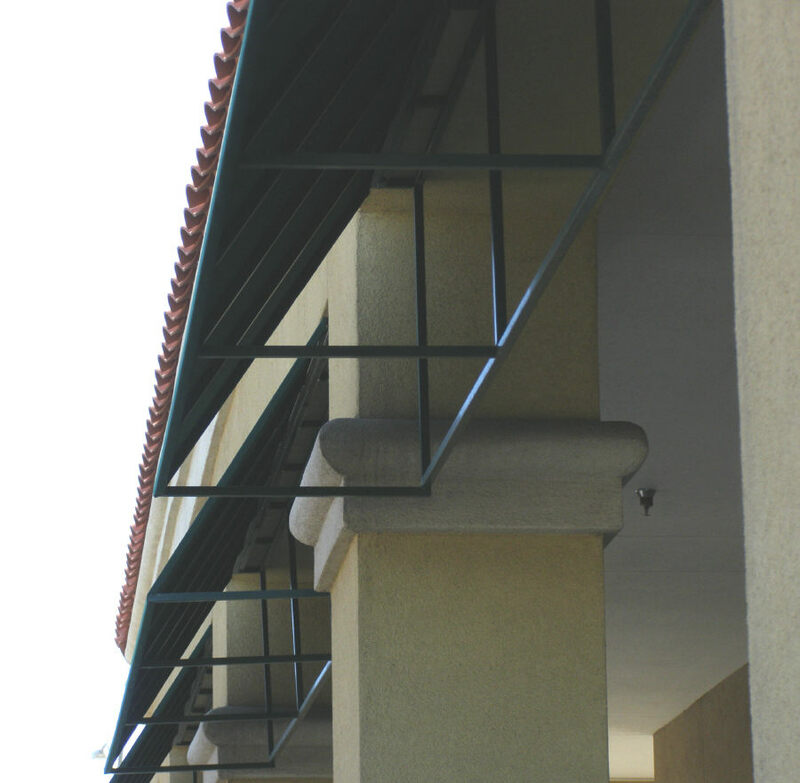 Steel awnings like these are becoming a favorite because they are almost indestructible. Since they are all custom made the designs can be as varied as your imagination allows. 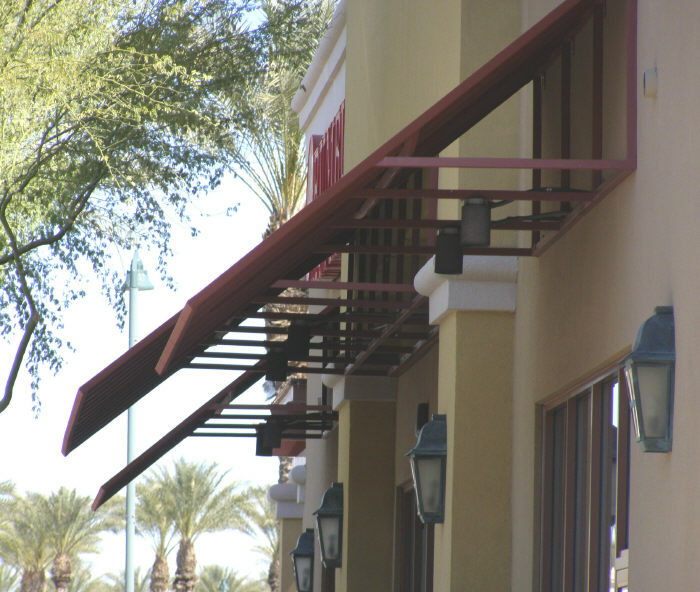 Our commercial steel awnings page has more of these metal window awnings. 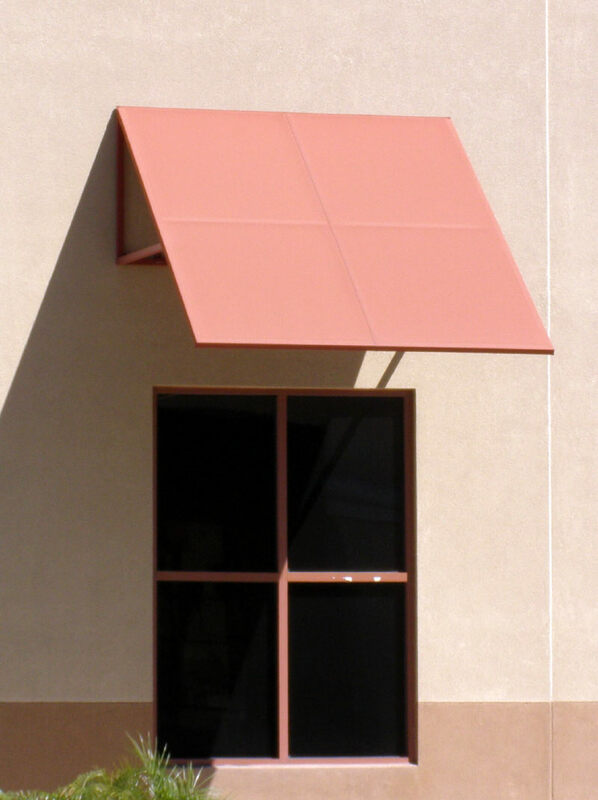 Canvas type window awnings will continue to be popular mainly because of the color options available. Any building can be accented by fabric window awnings as the color selection is endless. The photo above gives you some idea as to the flexibility of the custom steel frames. This type of commercial awning can be made to easily fit any size and shape opening or wall surface. 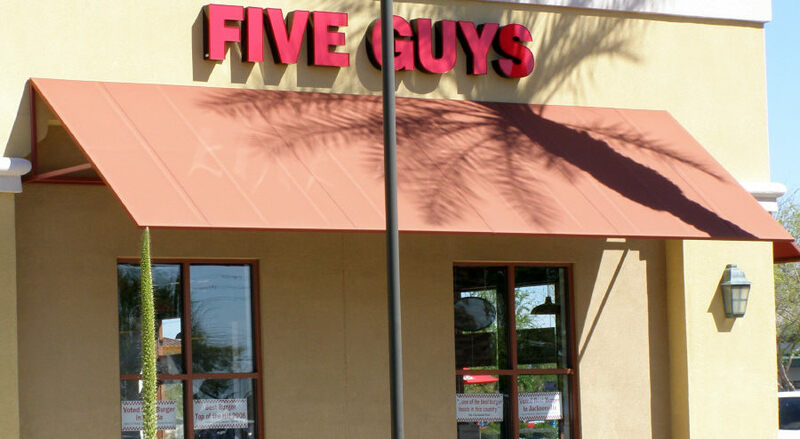 This set of photos will show you that there are no rules when it comes to commercial window awnings. Steel can be fabricated into any shape you desire and the cover can then be made to fit the frames. Attaching the frame is as important factor to consider when designing this type of frame, the more flat surface you have to mount brackets the better. 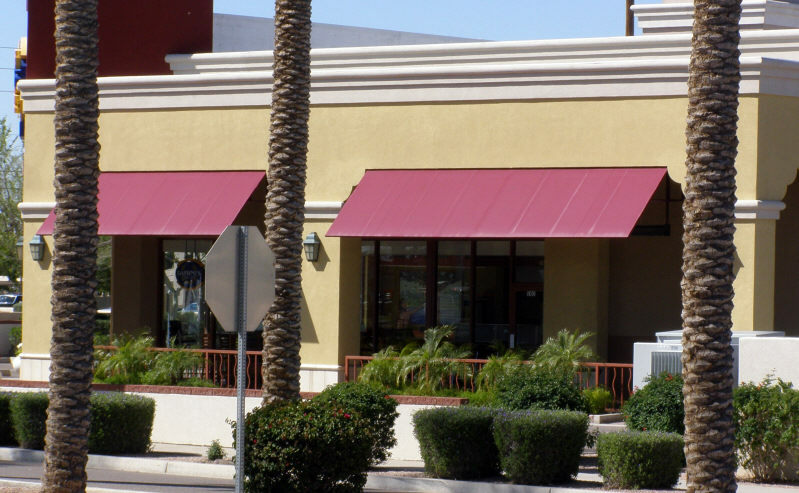 Commercial window awnings have come a long way since the old days of rounded dome type canvas window awnings. You truly can let you imagination go wild when designing the outdoor accents for your commercial building. To find awning contractors in your area, try Home Advisor. 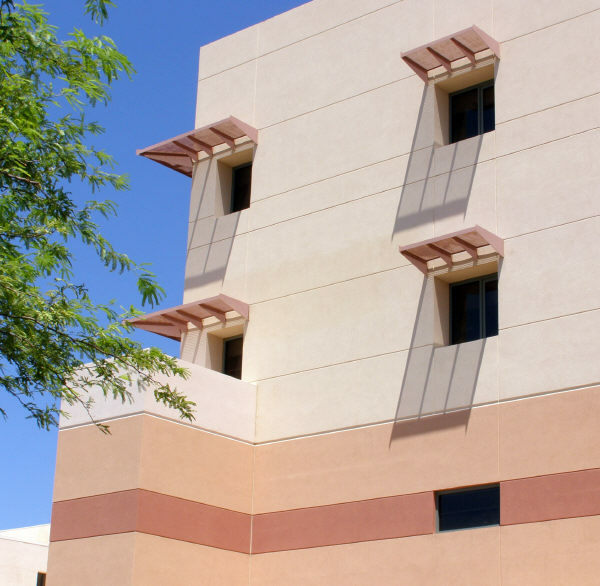 If you are in Arizona, Contact us for a free commercial shade estimate.